Welcome to Day #2 of Chocolate Snacks Theme Week. I'm not opposed to mixing animal characters and clever names with chocolate. 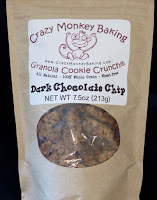 So, today's Dark Chocolate Chip Granola Cookie Crunch from Crazy Monkey Baking, LLC (Ashland, OH) seemed like a natural item to feature this week. The only downside: I keep smiling as I imagine a group of manic monkeys flying around a kitchen baking things. 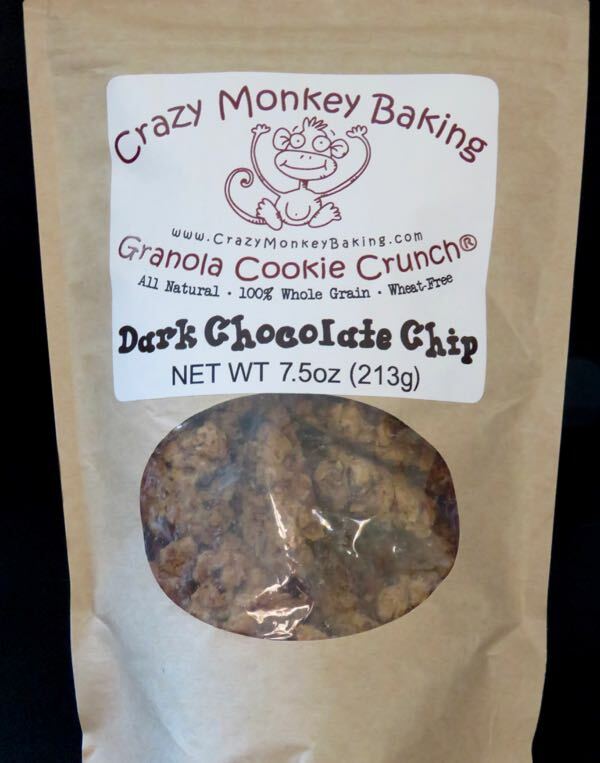 The company makes a few different flavor versions of their Granola Cookie Crunch, but the Dark Chocolate Chip was the original and is, according to the company's website, still the most popular flavor. 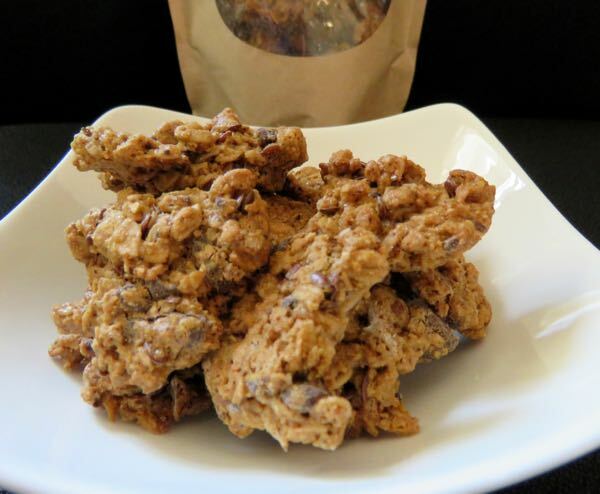 These oat and cornmeal based cookie-granola snacks were made with 60% cacao bittersweet chocolate chips, and evoked the aroma and flavor of home-baked oatmeal chocolate chip cookies. This tasty snack was uniformly crunchy and good. Some pieces were intact cookie-shaped rounds; and the rest were smaller, more granola-like chunks. 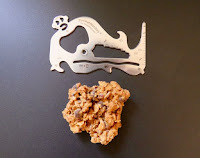 The PocketMonkey measuring device used for scale (see photo to the right) is about 3 1/8-inches (8 cm) long.